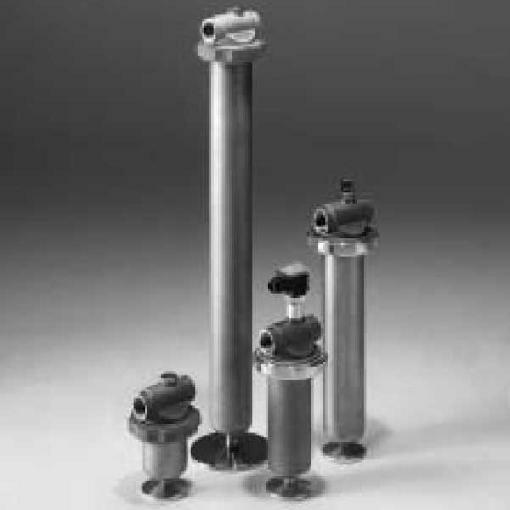 HYDAC stainless steel inline filters, type PFM and PFH are for use in industrial processing plants. Indeed, they are suitable for separating contamination from low and high viscosity fluids. Plus, the range of different sizes, filter materials, and sealing materials means that it is possible to adapt the filters to particular application conditions. What’s more, monitoring the contamination of the filter elements can be possible by means of a clogging indicator (differential pressure monitoring) fitted to the filter. Finally, the direction of flow through the filter element is from the outside to the inside. Cleaning them several times can lead to saving the costs of disposal and re-purchase.